Come join us for a night of cocktails, appetizers & fun with friends new and old! From 5-7 during the event, Dr. Edwards will be here to make you look and feel fabulous! Whether you need a “touch up” or are interested in getting it for the first time, this is the perfect time for you to be paired with a true professional in a serene environment. Take advantage of Ladies Night to shop our newly expanded boutique with your friends! 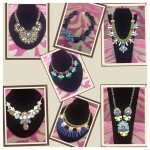 Shop our amazing collection of clothing, jewelry and accessories…and we have new items arriving often! Come by to make sure you don’t miss out on one of our fabulous finds!! Also, we will have exclusive Ladies Night Only discounts throughout the spa during the event. Save big on your favorite beauty products & services! This Event Will Fill Up Fast – Please RSVP ASAP By Calling 603-890-6363 Or By Clicking Here! previous post: New Year, New You!! | next post: Helen Phillips, LMT Joins The Sanctuary Spa Team!